California’s top executive rejected creation of office because it added another layer of bureaucracy. SACRAMENTO — A proposal to develop a new governmental office to promote kayaking, fishing and other outdoor recreational activities was squashed by California’s governor on Sept. 17, as Assembly Bill 1918 was sent back to the legislature despite broad support from Assembly members and State Senators. Gov. Jerry Brown vetoed the creation of the Office of Sustainable Outdoor Recreation; Brown’s veto message stated the creation of such an entity would add an unnecessary layer of bureaucracy. Assembly member Eduardo Garcia, who authored AB 1918, did not immediately release a statement about the bill’s veto; a request for comment was not replied to as of press time. Garcia introduced the bill more than eight months ago, hoping to create a new agency dedicated to supporting the outdoor recreational economy. The proposal would have also created an advisory board to provide expertise and other support to the office, had Brown signed the AB 1918 into law. The Assembly member, shortly after legislators approved the bill in late August, said the creation of the Office of Sustainable Outdoor Recreation would both urge Californians to participate more in recreational activities and contribute to the economy. The office would have also been directed to collect and develop data to determine how outdoor recreational activities affect the California economy, all while being a central point of contact for outdoors enthusiasts and industry members. An Assembly analysis of the bill stated California’s outdoor recreation economy is the nation’s largest, generating more than $85 million in consumer spending and creating 730,000-plus direct jobs. 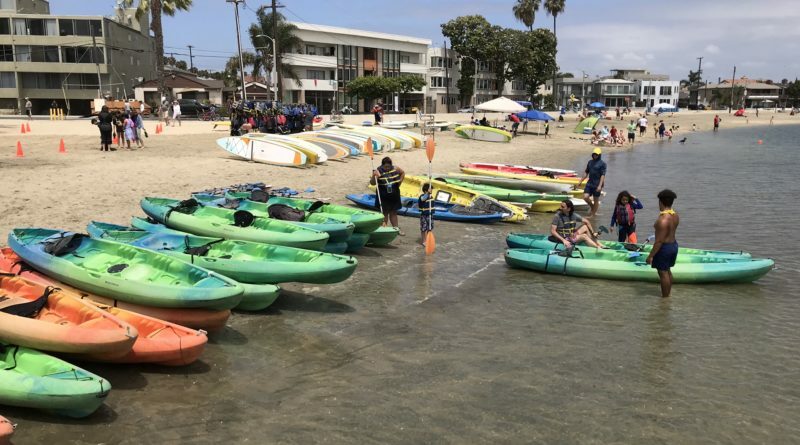 Brown’s veto could pose an interesting question: what should be the government’s role be in promoting outdoor recreational activities, be it boating, fishing, kayaking or otherwise? To what extent should those specific industries, just the same, rely upon the government to push for greater outdoor recreation participation (versus campaigning for the same goal through their own respective channels)? It’s unclear where the fine balance between bureaucratic support and private enterprise should be struck, but California will, at minimum, maintain the status quo with its outdoor recreational economy for the rest of 2018 and into 2019. AB 1918 cleared the State Senate with a 33-3 vote, followed by a 75-0 tally in the Assembly.